All of the homes on display during this year's Galveston Historic Homes Tour are, as organizers say, "a testament to survival." Seeing as how the structures have stood on the hurricane-prone island since the 19th century, that's no exxageration. But some of the houses are more of a testament than others. Take, for example, the Christopher Schmidt House at 1524 Avenue K. Schmidt, a carpenter from Germany, built the Greek Revival-style frame home in 1868. The Galveston Historical Foundation bought the house after a fire threatened to destroy it in 2008. The current owner has totally restored the interior. Now it, like the other nine historic homes included on the tour, offer a window into an earlier time on the island. Another unique home, at 1618 Church Street, was built by Rosa McDonald Peete, the widow of a prominent physician, after her earlier home was lost in the great Galveston fire of 1885, which destroyed 568 buildings on 42 city blocks. She made sure to rebuild using fire-resistant materials of brick and slate. One of the most impressive houses on the tour is known as Open Gates. 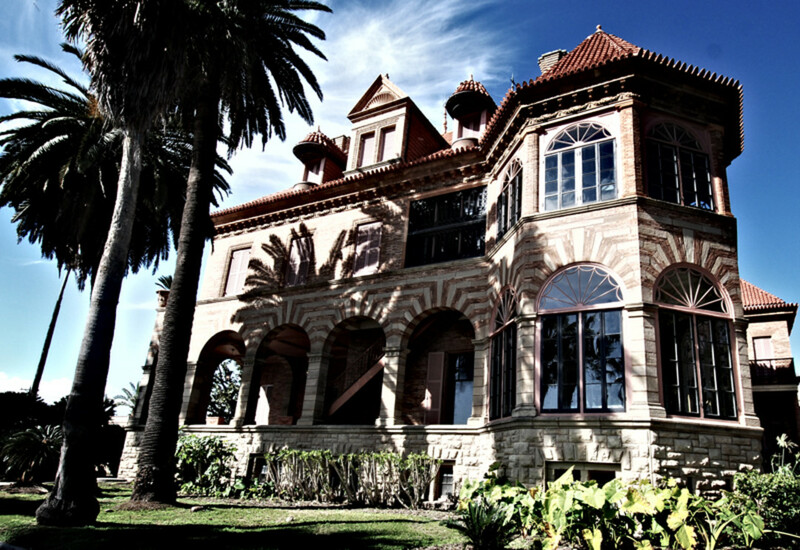 Built in 1889 for George and Magnolia Sealy, it is considered one of the last great romantic buildings of the 19th century, Galveston's gilded age, according to the Galveston Historical Foundation. The tour takes place Saturday and Sunday and on the following weekend, but the foundation is offering a preview evening stroll on Friday. You can read all about the tour, the preview and the historic homes on the foundation's website.